Marvel and DC Comics Look to Shut Down "Superhero Summer Camp"
Looks like its going to be a rainy summer for this camp. Marvel and DC Comics, claiming ownership to the SUPERHERO trademark, have joined forces to oppose the trademark for an upcoming 41 Entertainment LLC animated television show named Superhero Summer Camp. 41 Entertainment LLC is the production studio behind a bunch of animated television shows including Pac-Man and the Ghostly Adventures and several King Kong related shows. 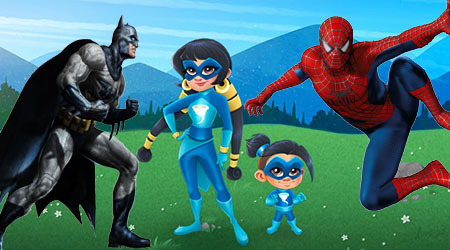 In 2022, 41 Entertainment plans on launching a new short-length series with 52 episodes entitled Superhero Summer Camp. 41 Entertainment describes this as “the one-of-a-kind sleepaway camp where the children of legendary superheroes are spending the summer learning how to call up – and control – their familial superpowers.” Seems all well and good until the company decided to apply to register the trademark for the name of the show. And now, dear readers, it is time to learn some ugly truths! SUPERHERO is a registered trademark owned jointly by DC Comics and Marvel . SUPER HERO is a word that most people think is generic, like KLEENEX or XEROX, but it is not. DC Comics and Marvel, much to the chagrin of many creators, are the owners of both the SUPER HERO and SUPER HEROES marks. Back in 1966, Marvel and DC Comics jointly filed and were granted a trademark registration for the mark SUPER HERO. The companies have registered several variations of the term over the years. These marks seem to be becoming more and more generic but that isn’t stopping the comic book companies from enforcing their rights. The two comic book giants routinely oppose most trademark applications that contain the mark. The more a trademark becomes generic, the less protection it is entitled to; this is why Marvel and DC Comics are so vigilant in fighting any unauthorized use of the mark. Marvel and DC Comics argue that if you see the name SUPERHERO on an animated program about….well…superheroes you are bound to confuse it with Marvel and DC’s trademark. The term is becoming more and more generic and one day there will be a true challenge to the mark but I doubt this will be it. Since the show is still in the early stages of development there is enough time to change the name and avoid this legal challenge.